Jeffrey Quon is a chiropractor (DC) and specialist in chiropractic clinical sciences (FCCSC). He is trained in epidemiology and biostatistics (MHSc, and PhD) and has taught clinical epidemiology and the City Wide Course in Evidence Based Medicine for the School of Population and Public Health at UBC. He is a knowledge champion for the Canadian Chiropractic Association’s Clinical Practice Guideline Initiative, a consultant chiropractor and epidemiologist at WorkSafeBC, and a research associate at the International Collaboration on Repair Discoveries (ICORD). His interests are in integrated knowledge translation and the design of randomized controlled trials of complex interventions for axial spine pain. 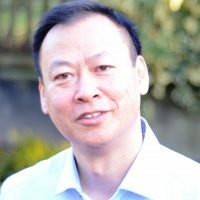 He is also the founder and Academic Lead of the BC Practice Based Research Network, whose activities promote the implementation of science in private practice while directly engaging grassroots clinicians in data analysis and the interpretation of findings from research conducted within their own community practices.